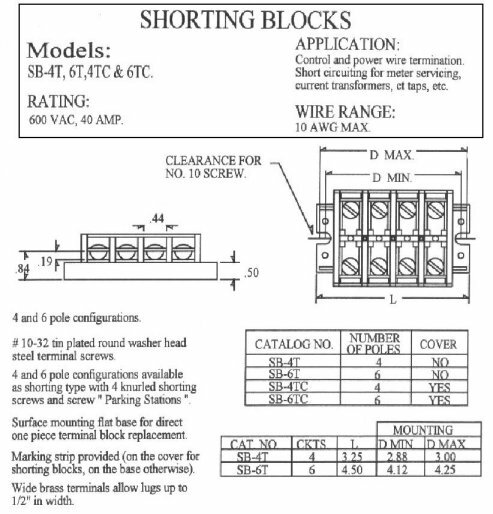 CT Shorting Blocks with covers. Shorting Blocks prevent CT burn up, installing on a hot system. Delta System with 2 CT's use shorting block SB-4TC. Wye System with 3 CT's use shorting block SB-6TC.